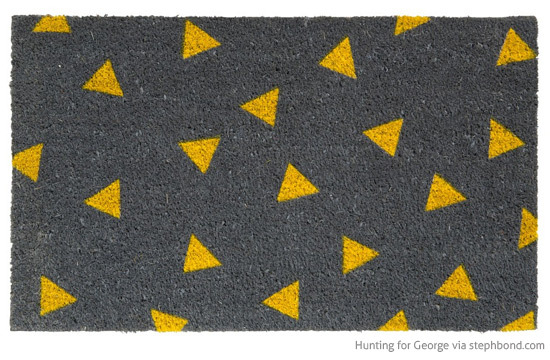 Oh, while I was on the Hunting for George website I found and fell madly for this confetti door mat. It's all yellow triangles on slate grey and I'm obsessed. Would look amazing with a black front door.